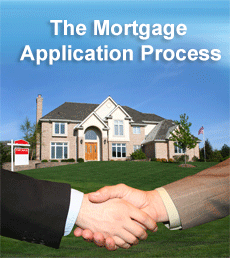 The mortgage application process is the first step required if you need a loan to purchase residential real estate. The correct name for this is the Uniform Residential Loan Application, and takes the form of a substantial application form in which you must provide all the personal information needed for a lender to make a decision. It is important that you have your mortgage application approved by your lender or builder before you make an offer. The information you provide must be backed up with proof in the form of documentation. Identification: Your name and residential addresses over the past two years, date of birth and Social Security number. Details of landlords are required if you have been renting. Employment: Names and addresses of your employers over the last two years. Income: Employment income share interest, average bonuses and any other type of income backed up by pay stubs (30 last days) and a W-2 form (last 2 years). Debt: Credit and store cards, car loans, student loans, current mortgage if any and any other forms of debt. You should provide details of any new debts that are not listed on your current credit report. You should provide details of the amount owed, the creditors’ names and contact details, account numbers and agreed monthly payments. Bank and Other Statements: Original copies of the last two monthly statements for your savings and checking accounts. If you intend using securities for your down payment, you should provide details of these such as statements of IRAs, Certificates of Deposit, stocks and any other relevant securities. Self-Employed: If you are self-employed you should provide your tax returns for the past year. You will also be required to provide a balance sheet and profit-and-loss report for the last financial year. Real Estate Details: You will also be asked for details of the house you want to purchase, and how much of a loan/mortgage you are asking for. In addition, you will have to provide details of any real estate you currently own, including its address and current value. If you have an existing mortgage, you must provide your lender’s details and your mortgage account details. This list is not comprehensive, but the above is the main information asked for. It is very important that you are completely truthful with this information, particularly your current debts, because if you are found not to be then your application will likely be refused. Some get the help of their solicitor at this early stage. You will be asked on the form for permission for the lender to check your credit reports and credit score: normally they will simple check your FICO credit score and make a decision based on that. However, they may also check individual credit reports provided by the three major credit bureaus, Equifax, Experian and TransUnion. They will use this information along with the information you have provided to determine your ability to make repayments and to check on your record of paying previous bills, loans and debt. A mortgage is a secured loan, meaning that you agree that your property can be sold to recover the outstanding sum in the event of you being unable to pay. The lender will therefore also check on the worth of the home you are purchasing plus that of any other real estate you own that can be possessed and sold to pay your outstanding mortgage debt. Lenders and banks must protect their investment in this way, particularly in view of the collapse of certain sub-prime mortgage over the past decade. It is not as easy to get a mortgage today as it was at the beginning of this millennium. The lender will likely also use a ‘Debt to Income’ ratio to establish your ability to pay. Let’s say this is 28/36, a common DTI ratio. This means that 28% of your pre-tax gross income may be spent on paying for your home (mortgage, taxes & insurance), and no more than 36% should be spent on repaying your total debts. Find out what DTI ratio your lender uses, and you can work out yourself the monthly payment you will be allowed. Once satisfied with your ability to pay, the lender will inform you how much they are prepared to lend you, the interest rate, the monthly repayments and the term over which the loan is to be repaid. You can now make an offer on your home. Most lenders will offer pre-approval, based on the factors already discussed, so that you can look for a new home knowing the amount you can afford to offer. Once you have found real estate you want to purchase, the lender will have it appraised to make sure that it is worth your offer price (this is the collateral for your mortgage loan), and will then issue you with a “Commitment Letter” that provides full details of the approval of the loan. This is the final confirmation that you require to complete the purchase. This completes the mortgage application process, which is followed by the payment of the deposit, the ownership search and the conveyancing, followed by completion or closure. Then will you be given keys to your new home! FICO credit scores are use by lenders to assess how likely you are to be able to repay a loan. If you intend applying for a mortgage, knowing how FICO credit scores work could be of advantage to you. Understanding them might enable you to improve your credit score before you make your application. First, however, it is important to understand credit reports, and the part they play in the calculation of your credit score. The three main credit bureaus, Experian, Equifax and TransUnion, each compile their own credit reports using a variety of data relating to your creditworthiness. Included is these data are your credit and repayment history, and the way you use credit, such as whether you are always around your credit limit or if you tend to keep it low. 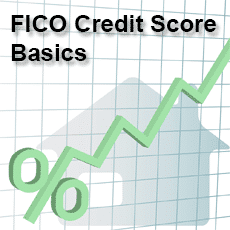 FICO is short for the Fair Isaac Corporation, and is the most widely used credit score in the USA. FICO takes data from all three of your credit reports and generates a credit score by applying a weighting to each datum item. Without the initial credit reports, then, there could be no credit score. Fundamentally, FICO scores are a shortcut to lenders, enabling them to check one single numerical figure rather than trawl through the alpha-numeric data offered by three different credit bureaus. They offer a rapid means of making a lending decision, not just ‘yes’ or ‘no,’ but also how much the lender can risk lending and at what interest rate. You must show that you are paying your bills and repaying loans you already have or have had in the past. Late payments, defaults and court judgments all count to reduce your score, and the more recent your problems the more significant they will be. The more you owe now, the less your borrowing power. Included are your credit card debts, overdraft and any other form of finance you are currently repaying. The computation also takes into account the state of your store and credit cards: try to maintain your cards within 25% of their limits. The longer you have had your credit cards and loans the better your score. This is because the lenders have a better idea of how you have been repaying, so stick with the same cards as long as you can. Many people switch regularly for better deals and interest-free terms, but come mortgage application time this might cost them dearly – in high interest rates, or even a refusal depending on the rest of the data. New credit will be punished by a reduced score until you have established a repayment history. Also penalized will be hard credit inquiries, where you have ticked a box agreeing that your credit records can be checked when you apply for new credit (e.g. mail order catalogs involving credit, new cards, secured or unsecured loans). Personal searches do not count. The final 10% of your FICO score is based upon the form taken by the credit you have. For example, it is best to have several different types of credit than several different credit cards. Examples are car loans, forms of revolving credit (store cards, store accounts), and personal loans. If you have not yet taken out credit of any type, you will not have a credit score. The minimum criterion to get a FICO score is that you must have at least one credit account that has been updated over the past 6 months. So if you have never had credit, or closed your last credit account over 6 months ago you will have no FICO score! FICO scores range from 300 to 850. There is currently no accepted definition of the various terms used, such as prime and sub-prime mortgages. However, a common definition is that any score above 710 is prime, with sub-prime being below 640. If your FICO credit score is between around 510 and 640, you may be considered sub-prime and be offered a limited mortgage at a higher interest rate than normal. However, since the sub-prime collapse, many lenders are wary of such low scores. Below around 510 nobody will offer you a mortgage. A credit score of 760 and above will likely result in you being offered a good mortgage with lower interest rates. You will also be offered a greater variety of mortgage options, such as fixed or adjustable mortgages. For example, with score of below 700, your interest rate might be set at 6.3%, with over 760 at 5.8% and below 600 at from 8.6 – 9.5%. These figures are for comparison only and not actual rates being currently offered. That is fundamentally how FICO scores work, and by working on the various factors discussed you should be able to improve your score. FICO credit scores are important factors in the interest rate and type of mortgage you are offered – or even if you are offered a mortgage at all. 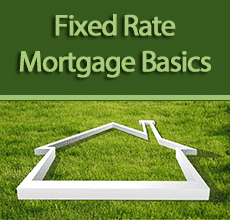 A fixed mortgage is one whose interest rate remains the same over the full term of the mortgage loan. This contrasts with an adjustable rate mortgage, where the interest rate can fluctuate with market conditions after a specified period of time. A fixed interest rate is easier to understand, and many prefer the predictability of repayments, and the way they have more disposable income as their income increases but mortgage repayments do not. If you are seeking stability, and the safety of knowing exactly what you will be paying every month, then this is for you. This type of mortgage enables you plan ahead with confidence, without the possibility of facing a sudden hike in your monthly repayments because interest rates suddenly increase. When you decide on a fixed mortgage, your choice of lender or building society will make little difference to your monthly payments because all offer very similar fixed interest rates. However, where interest rates do vary between lenders, you have the advantage of knowing that when you select the lowest rate, it will not change over the period of the mortgage. While the rate for a fixed mortgage will be higher than the initial rate for an adjustable rate mortgage, if you take your mortgage on at a period when interest rates in general are low, then you could get a good deal for the entire life of the mortgage. One of the disadvantages of fixed interest loans in general is that you are limited in how much you can borrow. This is particularly true when interest rates are generally high: the amount of your mortgage depends on your ability to repay, and you are liable to be restricted in the size of home you can purchase, even with a 30-year loan. Also, if interest rates fall back to lower levels, your mortgage rate will not fall with them. You are locked into a fixed interest mortgage, and might face penalty charges if you attempt to repay it early (prepayment penalty). This is a something you should establish prior to signing for the mortgage loan. The term of the loan could make a difference, and here are the pros and cons of 15-year and 30-year mortgages with fixed interest rates. Because the amortization is over a shorter period, you can increase equity over a shorter period of time. This enables you to purchase upwards at a faster rate than if you were paying a 30 year mortgage, or to repay your mortgage sooner. The interest rate will be lower than that for a corresponding 30 year fixed rate mortgage. The total amount you pay the lender in interest will be lower and so more of your cash will be going to repay the capital. The monthly payments will be significantly greater for a 15-year fixed rate mortgage than if you repaid the loan over 30 years. That is because you are repaying more of the capital sum, which has to be paid up in half the time. Because your monthly repayments are higher, you might not be able to afford as large a house as you could purchase with a 30-year fixed interest mortgage. You can take a mortgage over the longer term, knowing that your repayments will remain the same over 30 years, irrespective of the financial situation. Interest is amortized over double the time period than a 15 year loan, so the monthly repayments will be smaller. You will be paying more in interest overall with a 30-year fixed rate mortgage, so can claim more on your federal income tax returns. The fixed interest rate will be set at a higher level than that for a 15 year mortgage. Equity will build up very slowly in comparison to that of a 15 year fixed rate mortgage. You will end up paying more in interest to the lender. Even if they can easily afford a 15 year mortgage, many people choose to pay over 30 years, and invest what they save in monthly payments. This can give them a yield greater than the difference in the monthly payments. This will be particularly true for those that take the mortgage at a fixed rate when rates are generally low. If it is necessary to take a mortgage at a time when rates are particularly high, many will choose the 15-year fixed mortgage or choose an adjustable rate mortgage instead. If you had arranged an adjustable rate mortgage when rates were high, you may consider trading it for a fixed-rate loan when mortgage interest rates have dropped. You will then benefit from the lower rate for the remainder of the mortgage term. In general, then, a fixed mortgage offers the advantage of knowing exactly what your payments will be, irrespective of interest rate fluctuations. The major disadvantages are being unable to take advantage of interest rate drops, and a limitation in the mortgage amount, particularly when rates are high. If you have questions about fixed rate loans, we can help, simply contact us directly or request a rate request using the FREE rate request form above! Fundamentally, a mortgage prepayment penalty is applied by lenders to recover some of the profit they would have made were the loan to have run its full term. Interest rates and other aspects of loans, including mortgages, are set on the basis of loans running for the agreed period, and should a borrower repay the loan sooner than that agreed period lenders will lose the interest they would have earned on the period still to run. From the borrower’s perspective, it is best to repay the loan as soon as possible and so save on interest. However, were all borrowers to do this, lenders might lose much of the money they would have earned for the work they had carried out to arrange the loan. Income that would normally have been paid by the interest accrued over a period of time. If not lose exactly, they would not make the expected income, and hence their own livelihood could be compromised. Lenders need some form of protection against early repayment if their income is dependent on interest payments. The alternative would be higher interest rates. It should be made clear that such penalties are not allowed with Federal Housing Administration (FHA) loans, Rural Development (USDA) Loans and VA (Veteran Affairs) loans. Mortgage prepayment penalties vary between states and lenders. There is no agreed national policy, although some states have laws in place whereby a prepayment penalty can only be applied to second mortgages on residential properties and on liens on properties purchased for investment. They cannot be applied to early settlement of first mortgages on the primary home of the borrower. You should check up on what the law is in your state regarding early or prepayment penalties. In simple terms, where this rule is applied, you can make early settlement of a mortgage used to purchase the home you live in without penalty, but, if you have borrowed money with your home as security, early payment penalties can be applied. The same is true if you have put property up as security (i.e. a lien) for a loan – if you pay the loan early you can face a penalty. Some penalties relate to prepayment within a specific time frame, most commonly years, while others relate to specific circumstances. For example, some contracts absolve the need to pay a penalty if you sell your home and then pay off the mortgage with a cash sum from the proceeds. However, if you negotiate a mortgage with another lender at a lower interest rate, for example, you may have to pay a prepayment penalty. In many cases you might find that your mortgage is offered with the option of a lower interest rate with a prepayment penalty clause, or at a higher rate without such a clause. In effect, what the situation is likely to be is that you are paying more interest than normal if you refuse the clause, but you nevertheless have the option. 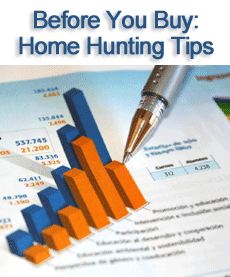 You might also be offered lower closing costs in addition to or in place of the lower interest rate. If you intend to live in your house for at least the term of the mortgage, you could gain by agreeing to the prepayment penalty clause. However, if you purchase your home with a view to upsizing within a few years, and selling to pay off your mortgage and negotiate a new home loan, then check out the fine print in your mortgage loan contract. If you check the Truth in Lending (TIL) statement that you are provided with when you are closing on your mortgage, you will find reference to payment penalties towards the end. If it states that your mortgage “may” be subject to a prepayment penalty, then you can be assured that means that it “will” be! The penalty for early mortgage settlement varies between lenders, and this policy should also be stated in your mortgage agreement. A common method of calculating this is to use a proportion of the total mortgage still due at the time of settlement. For example, if you paid off your mortgage when you still had $80,000 principal to pay, a 2% penalty would cost you $1,600. Alternatively, the lender might apply a sliding scale based upon how much interest they would lose between the date of settlement and the original term date. A common calculation is to base the prepayment penalty on a proportion of the interest lost to the lender over a specific period of time such as six months. 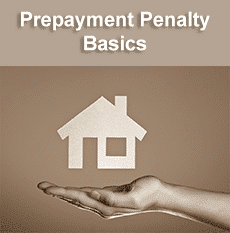 When you arrange your mortgage, make sure you fully understand the terms of any mortgage prepayment penalty. If you already have a mortgage, check the fine print for details of any such penalty. Keep in mind that prepayment penalties are not necessarily to your disadvantage because you might be offered a lower interest rate in exchange for such penalties. You want to pay less, and the lender wants to protect their income. There are ways to achieve both. Adjustable Rate Mortgage Basics: ARM or Fixed Rate? With an adjustable rate mortgage (ARM) you pay a fixed rate of interest on your mortgage for a specified period, after which the rate adjusts until the term of the loan is complete. The initial monthly payments will generally be lower than those with a fixed interest rate, but this type of mortgage is not suitable for everybody. The initial rate period can be anything from one month to 10 years, although the general standard today is regarded as 5 years. Other common arrangements are over 3, 7 and 10 years. Initially, the rate will be set at a level below than that of a fixed rate mortgage. At the end of the agreed term, the interest rate will be adjusted annually according to an index stated in the closing documents of the mortgage arrangement. The fixed rate of an adjustable rate mortgage, known as the ‘Start Rate,’ is the minimum interest rate that applies to the sum borrowed. This ‘floor rate’ as it is known will not be reduced, even if general lending rates drop below this figure at a later date. At the end of the ARM fixed rate period, the lender will check the ‘index rate’ and apply an interest rate to the balance of your mortgage that slightly exceeds this. Your monthly repayments will then be increased accordingly. This is repeated each time an adjustment is required – usually annually, but this will be detailed in your initial AMR mortgage agreement. There are several reasons for you deciding to take an ARM. They are not suitable for everybody, but if you prefer the security of knowing exactly how much your monthly repayments will be until your mortgage is paid off, then go for a fixed rate mortgage. a) You may be purchasing your home with a view to selling it within the fixed rate period. For example, if you have reached the first rung of the housing ladder, you might intend to sell your home after 3-4 years for a better one. 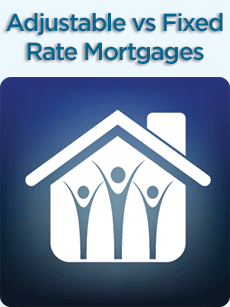 Your repayments will be less with an adjustable rate mortgage than with a fixed rate. b) You intend purchasing a new home within a few years of buying your first home. Just like a) above, but perhaps you have purchased a small apartment or condo after marrying, and intend to upsize once a family comes along and you need more bedrooms. c) If you intend making extra payments, over and above your regular payment, then an adjustable rate mortgage will be ideal for you. Even by paying the same as you would had you taken a fixed rate mortgage, the extra payment will go towards reducing the principal rather than interest. Check on penalties for early repayment! d) You might intend to refinance sometime over the next 5 years or so. In this case, you enjoy the lower interest rate until you take that step. Some people do this when their credit is not as good as it might be. After two years or so your credit score might have improved enough through you maintaining your repayments on time to enable you to get a longer term fixed rate mortgage. Your home is your security for the initial fixed rate period. 1) During your fixed rate period the interest applied to your balance cannot drop below the agreed initial figure – even if general interest rates drop. You are tied into that fixed rate just like those that took a fixed rate mortgage (though your fixed rate will be lower than theirs). 2) Also, once the agreed fixed period is over, that rate will be lowest and will not drop below it. If you take a mortgage during highly inflationary periods, where interest rates can be as high as 15% or more, you might be offered a fixed rate of 9% with your ARM. You are stuck with this, even if times improve and new borrowers are being offered 4%-5%. 3) At the end of the fixed rate period, your repayments could increase significantly, putting you in financial distress. 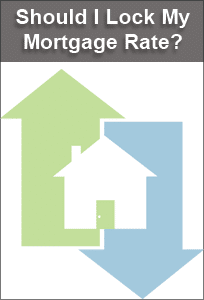 Is An Adjustable Rate Mortgage or Fixed Rate Mortgage Right For Me? If you are prepared to meet the significantly higher repayments you might face once the fixed rate period is over, want to repay your mortgage quickly or intend selling your home within a few years of buying it, then an AMR is likely your best choice. However, an adjustable rate mortgage can come with complex terms and conditions, and it is critical that you fully understand what you are agreeing to. We can help answer any questions you might have about fixed rate or adjustable rate mortgages. We can also give you an up to the minute mortgage rate quote if you call us directly or use the fast rate quote form above. Comments Off on Should I Lock My Mortgage Rate Now? A very common question for any consumer that might be considering refinancing an existing home loan or purchasing a new home is “Should I lock my mortgage rate?”. This is a very important question and the answer can seemingly change from day to day, depending on what is going on in the markets. Your specific scenario in terms of your time-frame and specific needs can also play a role in answering this question. Sometimes the answer is rooted in the likelihood of rates going up vs the likelihood of mortgage rates going down. To answer the question, let’s take a look at the bigger picture. For many weeks and months mortgage rates have been near or at all time historical lows. We’ve also had many new lows set as is the case in the past couple of weeks. These new lows have been all time historic lows, but by a small margin until the last few weeks, where we have seen some significant downward movement. Since we traditionally see mortgage rates move up faster than they move down, we’ve got a whole lot of upside potential available right now should the right news come out regarding the health the US or World Economy, specifically Europe. This means that we some would argue that there is a lot more upside potential if mortgage rates move as opposed to downside potential. Locking in your mortgage rate now may be a save move, but by the time you’ve read this, it is likely that the market has changed. To get an up to the minute answer on locking your mortgage rate, simply give us a call and we can give you the most current market summary and advice on whether locking your rate makes sense right now. If you choose to lock your rate near all time historic lows, you risk the chance of possibly missing out on yet lower rates that might come in the future. Ultimately the question is one of risk vs reward. In the current environment, you will likely find many more mortgage professionals advising that holding out on locking your rate presents a very low risk to reward ratio. The best way to know if the current market has changed to favor holding out on your lock is to call us directly. In addition to giving you a clear idea on whether or not holding off on your lock makes the most sense, we can answer any questions you might have about which programs make the most sense for your needs and a current mortgage rate quote. Buying a home can be an exciting and somewhat stressful experience. When shopping for your new home, keep in mind that one of the most important aspects of home ownership is often neglected, finding the right mortgage. Your mortgage is the backbone of the entire purchase, but without doing proper research, you might not be getting the best deal you can. Before you begin the home search process, consider the following ways to increase your chances of a speedy, stress-free home buying experience. Getting pre-qualified means you will better understand how much home you can afford and which mortgage program(s) best fits your needs. By giving yourself options, you’ll be able to find a lender you’re comfortable working with and a mortgage you’ll be able to afford. Once you’ve done this, you can begin your home search without worry. You will also save yourself time as shopping for homes that you can’t afford only takes up time you could be spending finding the right home you can afford. Knowing your financial situation prior to speaking with a lender can help speed up the process when you do seek financing to buy a home. Budgeting for your current expenses and using a mortgage calculator can help predict what you’d pay with a mortgage. From there you can make a choice about how much you feel comfortable borrowing. A secure, steady working situation will also help make you more appealing to lenders since you’ll be able to prove stable income. With a little bit of preparation before you speak with a lender, your lender can help you make an informed decision about how much house can afford to purchase and which loan program is the best fit for your needs. When you pick a financial institution to work with, you will submitting your information, checking your credit, and being given a mortgage quote. While your monthly payment is a vital part of your mortgage, you’ll also be responsible for paying interest, insurance and lender fees, which your lender will help you understand. Many borrowers forget about these extra fees and instead of consulting with a mortgage professional, use a mortgage calculator as their guide in how much they will have to pay for a given loan size without taking these extras fees into consideration. The process of buying a home is one that you need to engage in with your head as well as your heart. You can’t make impulsive decisions when buying a home or you may find that you make a poor investment that will cost you time, money and frustration down the road. You Can’t Get Over the Decor – Don’t allow the paint colors or the furniture in a home to sway you either way. The current home owners will take their furniture with them, and paint can be easily changed. Try to picture yourself in the home to determine if it’s the right fit. 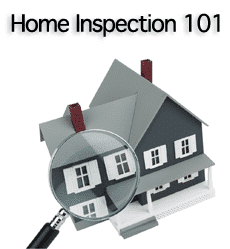 Skip an inspection – It doesn’t matter how the home looks on the surface; you need a home inspection when purchasing ANY home. You don’t want to be surprised by issues down the road that may have been deal breakers. Rely on Verbal Promises – The only agreements in a real estate transaction are those put in writing. Just because there is an unwritten agreement that you ‘may’ be able to occupy the home before your official closing date, does not mean anyone is obligated to abide by that. Put the important details in your offer and subsequent contracts and you will have better guarantees. Get Approved For a Mortgage After You Make an Offer – It is important that you get pre-approved for a mortgage before you actually start shopping for a home. We can help you get pre-approved in minutes. You See the Home Only One Time – Make sure you schedule a walk-through of the home before you take possession. You never know what condition it will be in when time has elapsed between the initial viewing and the closing date. You Jump on the First House You Like – Seeing a number of houses will help you get your priorities in order. Visiting multiple homes even when you find one you like will help you to think with your head as well as your heart. With minimum down payment requirements for the purchase of your first home, coming up with the funds can be a challenge. Many new home buyers find themselves in a position to afford the carrying costs of their home, but can’t seem to come up with the cash to put the required money down. The specific amount required can vary from one lender to the next. It can also vary by state but the general range is between 5% and 20% at a minimum. What first-time home buyers may not know when they are struggling to come up with the money, is that it is possible to use ‘gift’ money if they have a family member with sufficient financial resources. Money can be provided to buyers by family or friends. However, it must truly be a gift and not simply money loaned. Often, mortgage lenders will require the person giving the gift to sign a notice guaranteeing the money is a gift. Sometimes, the source of those funds must be proven as well. The individual providing the gift does not have to pay taxes on the gifted amount, provided it is under the state mandated maximum. 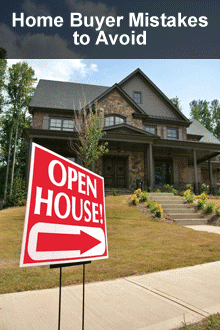 Often, the mortgage lender will require that the gift money be available to the buyer 30 days before closing. Taking some or all of your down payment as a gift can help you get to the first rung on the property ladder. 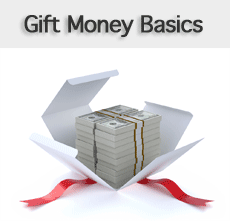 However, it is very important that you only use gift money when it is legitimately that – a gift. If you try to take advantage of this system and claim a loan as a gift, you are not only engaging in fraud, but you may find that you are in over your head financially even if you do obtain the loan.